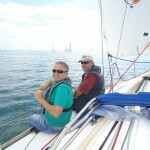 Yesterday I was lucky enough to sail in the Polypipe Regatta. 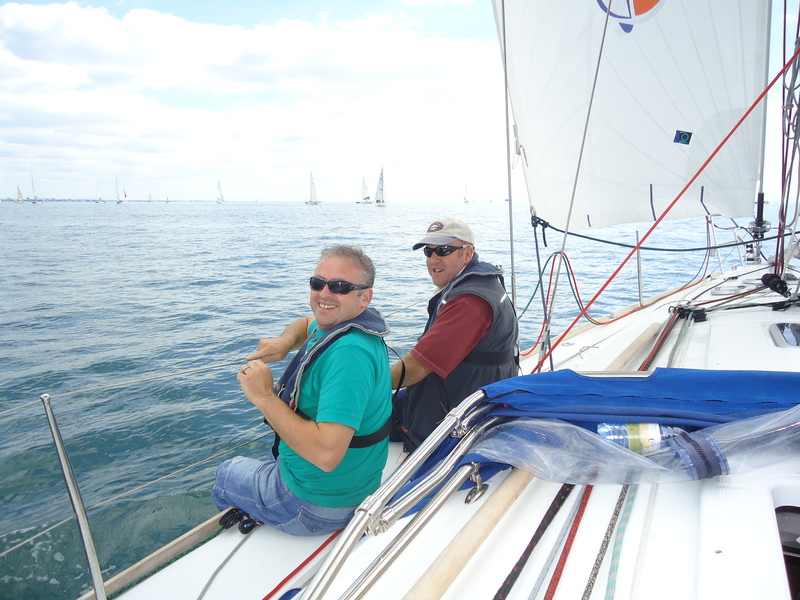 This is a sailing day for novice and experienced sailors to have a fun day racing around Port Solent. With around 70 boats taking part, the day started around 8am with tea, coffee and bacon sandwiches at Portsmouth Harbour Yacht Club. 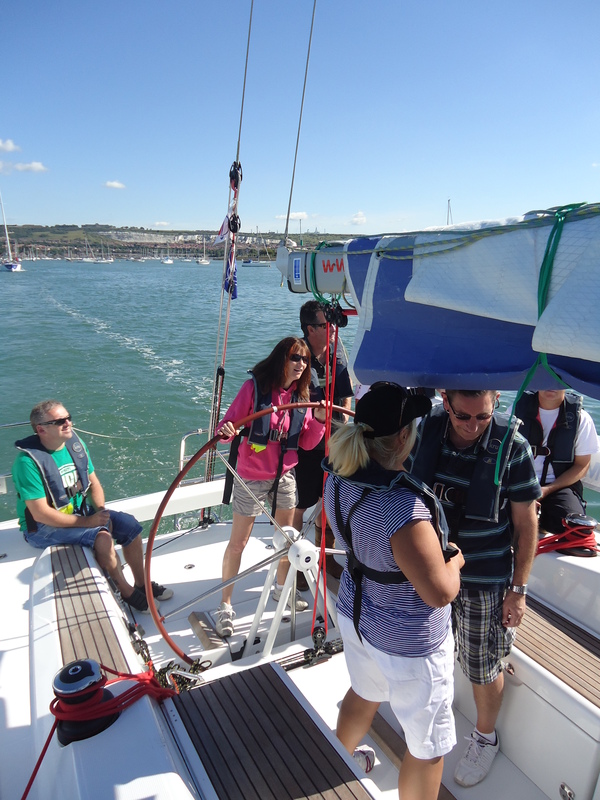 Then we found our allocated boats, chartered from Sunsail, and after a quick safety briefing we were off. 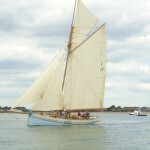 We motored out of the Harbour and once out of the Harbour we practised putting up and taking down the spinniker. 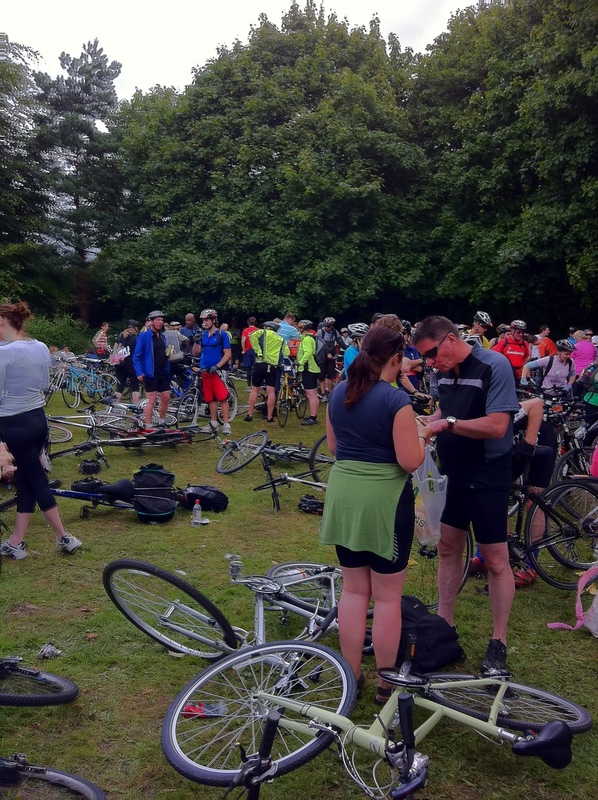 We motored off to the starting point and waited…and waited….and waited! The wind had dropped and all was dead calm. We strained at the radio to hear starters orders, but nothing. Lunch came and went as did the sandwiches and finally at around 1.30 we were given the course instructions and the countdown began. We tacked around the starting line and were in a good position when the race began. No sooner had we started then the wind dropped again and we just sat dead in the water. 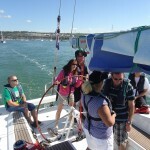 We inched forward to try and catch the wind and eventually we were lucky and were off. 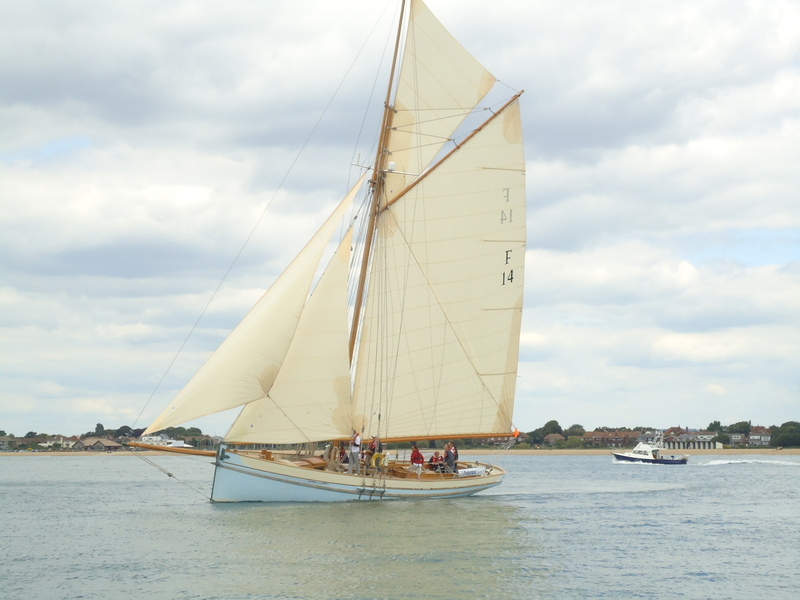 The course was short and once we had rounded the first marker and were on the homeward stretch the wind dropped again and we finally limped over the line in 8th position. As soon as we crossed the line, the wind picked up and we were off. The Yacht Club called it a day and we all made for home, some under sail, some under motor, for tea and cake back at base. Followers of the Lovesail Twitter profile and Facebook page will know that for the past 3 months I have been annoying everyone with my posts about my training for the London 2 Brighton Bike Ride (54 miles) to raise funds for The British Heart Foundation. 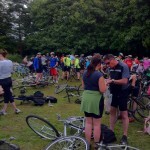 Well the ride took place last Sunday and I have recovered sufficiently now to bore you with the days events! Myself and two friends caught to train to Clapham for our 9:00am start. We nearly got lost leaving the station, but a fellow cyclist pointed us in the right direction, and we made our way to the Common. 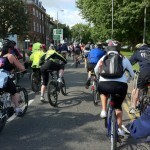 The Common was packed, 28,000 cyclist took part in the London 2 Brighton bike ride this year. We were directed to our 9:00 start gate and got our tickets stamped. We left bang on 9:00am only to grind to a halt a few meters further along. This stopping and starting continued until we left the outskirts of London. So many cyclist and much traffic makes for a slow start. I was secretly pleased because my fellow team mates are much faster than me, so it meant we had a gentle start! 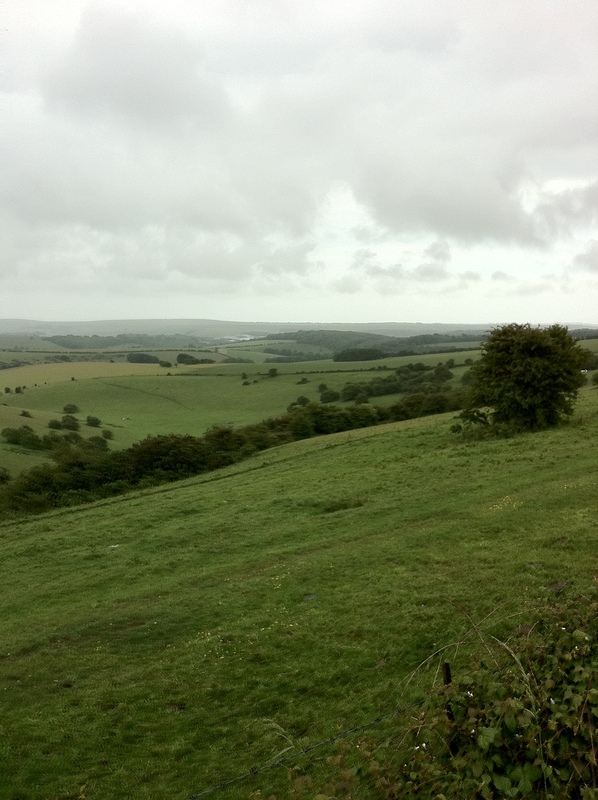 Brighton, I couldn’t tell you the route for the London 2 Brighton, I remember Mitcham, signposts reading Redhill, Crawley Down, Lindfield (which I thought was Ditchling) Haywards Heath and then Ditchling itself. 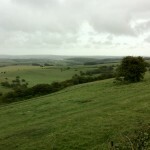 By this time the rain had started and the hill to the Beacon approached. Everyone says not to even try to cycle up, but I had to give it a go. 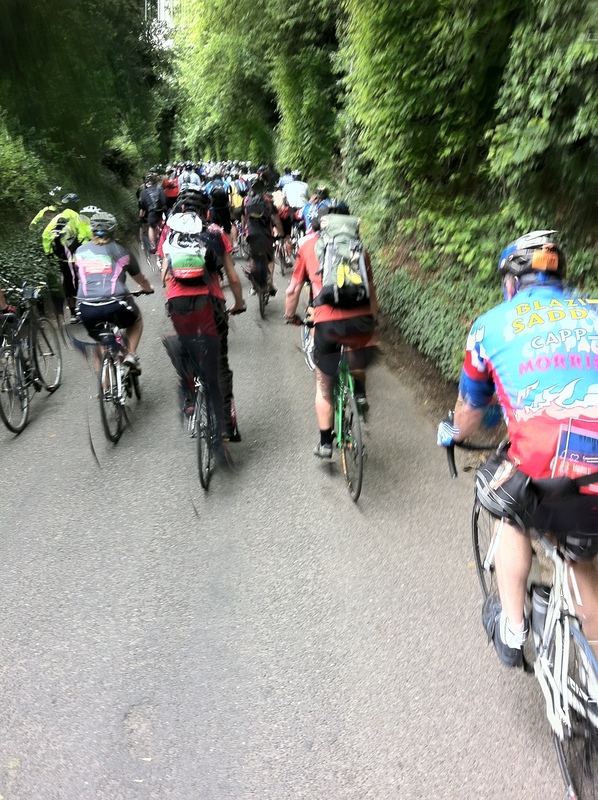 I lasted about 100m and then just had to stop, and join the rest of the cyclists walking. It was pretty hard pushing up to the Beacon. Don’t forget by this time we had completed about 47 out of the 54 miles. I finally reached the top and tried to locate my friends. We had lost each other several hours before but had agreed to wait at the top of the Beacon. I finally managed to find Louise and Sarah rang to say she was on her way up. Her chain had been problamatic, but what she hadn’t realised was that her brake had been stuck on! She had ridden about 15 miles like this until someone had noticed and helped her out. That was the one thought that will stay with me the most. the atmosphere of the ride. Everyone was polite, chatty and helpful. They stopped to give you a hand even if it meant you were delaying their ride. From the top of the beacon down into Brighton was 7 miles, a lovely downhill run to rest the tired legs, but we had a strong headwind. Finally the finish line was in sight. It had taken 5.5 hours and I never thought I would say this but it was very enjoyable! The time did fly past, and I didn’t feel too exhausted! It was a great feeling of achievement to get the finish stamp and medal. Thanks go to Bev for collecting us and driving us home, and to Sarah and Louise for making it such an enjoyable event. Definitely a must for next year, an earlier start to improve out time with hopefully more friends to join us. 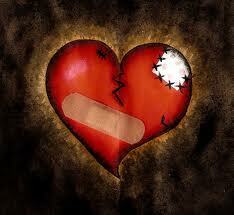 Not a blog that’s sailing related I know, but its heart related! Less than a week away until the British Heart Foundation’s (BHF) London to Brighton bike ride, and I shall be taking part. Myself and two friends will be travelling up to London on Sunday 19th June to start the 54 mile bike ride starting from Clapham Common and finishing on Brighton seafront. We have been training since March starting with 10 mile rides and building up to 20-25 mile rides 3 to 4 times per week, and I think we are ready now! The most difficult part has been finding the time to train. A 25 mile ride will take about 2-2.5 hours so trying to fit that in around work and family life can be tricky. But the effort has been worth it to see sponsorships come in and, of course, not to mention the resulting improvement in health and fitness levels! 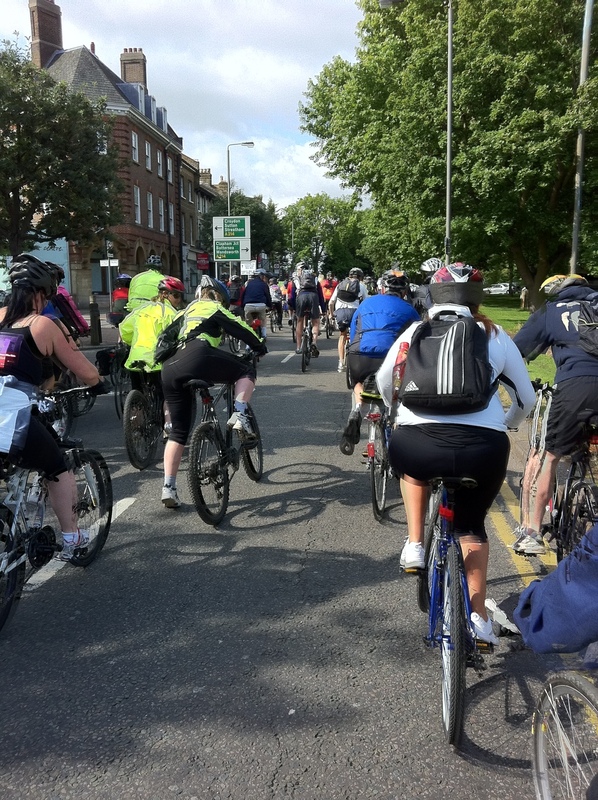 Around 27,000 cyclist take part in the London to Brighton challenge each year and in 2009 £4.1million was raised for the BHF. If you would like to know more about the BHF and their work or make a donation, or join in the ride next year. Wish me luck and fingers crossed for fair weather!